Blessing and hard work are inextricably linked. When God brought the children of Isarel out of Egypt, He promised them a land “flowing with milk and honey.” And, as my friend pointed out, it wasn’t just sitting around in plastic containers waiting for them! Have you ever actually obtained milk and honey from their sources? It’s sweaty and hot and labor intensive. 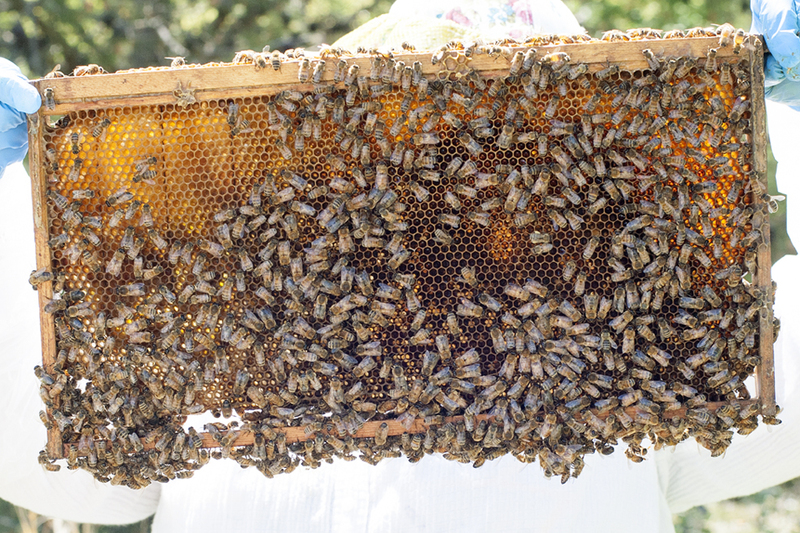 If you have several hives, it can take hours to check them each week. Cows have to be milked twice a day. No matter how you feel or what you’d rather be doing, they have to be fed and watered, fenced and sheltered, monitored and (at times) medically treated. Stings are always a possibility, flies are usually biting, equipment frequently needs washing and there’s always poop somewhere. And yet…. this is the blessing that God promised the children of Israel. Oddly enough, my definition of blessing is a tiny bit different than God’s. Mine looks something a little less like sweating profusely under 1200 pounds of bovine flesh and a little more like a comfy spot on the couch with a good book and a bag of oreo cookies. I heard once that the happiest people in the world are those who spend the most time actively helping those around them and I believe it. For some crazy reason, God created a world where service leads to happiness and hard work leads to blessing. Funny, because most of my life has been spent trying to figure out ways to avoid work. What if hard work, service and sacrifice doesn’t just lead to blessing, but is the blessing? Maybe the real blessing of the Promised Land wasn’t the milk and honey at all, but an environment that promoted and encouraged the effort it took to obtain it. This entry was posted in Farm & Garden, PERSONAL, Serving Others. Bookmark the permalink.